Wash and soak rice, urad dal and fenugreek seeds together in enough water for about 5-6 hours. Soak the poha for 10 minutes (If using thin poha, just soak and grind). Add soaked ingredients into a mixer and grind it adding little water. Add soaked poha. Grind this with enough water to form a pouring consistency. Pour it to a container and add some salt and mix well. Leave the batter to ferment for 8-10 hours or overnight. Heat a nonstick dosa tawa on medium heat. Pour one ladle full of batter on the tawa. Spread very little. Close with a big lid to cover the dosa. Pour some oil or ghee around the dosa. Remove the lid and flip the dosa on the other side. A real tasty variation of dosa. And with the right accompaniments too. They look very delicious! 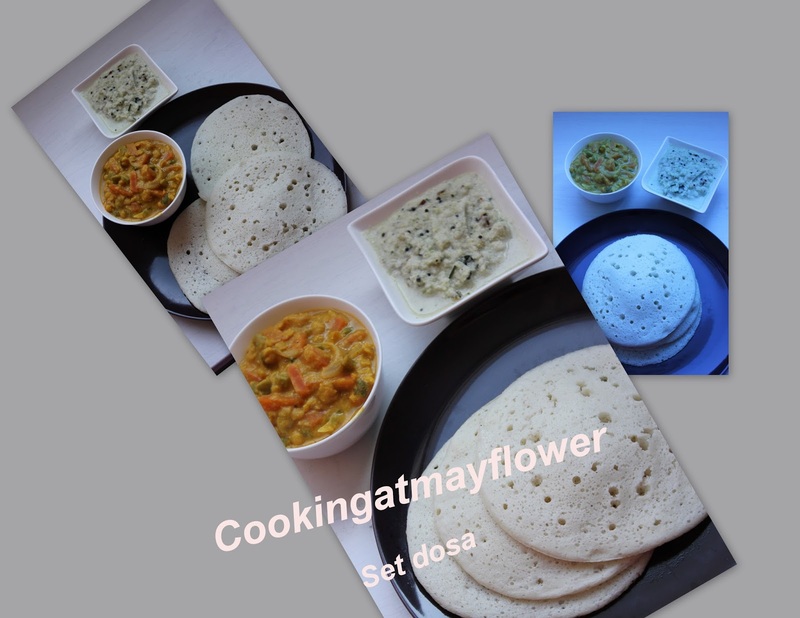 Can you use any kind of rice to make dosa? Hi Angie, you can use white rice, basmati rice or idli rice. Mouthwatering! Can I come over? Most wanted item for breakfast....Good job!! This pic makes me hungry.. Looks spongy and perfect..
Love these soft and spongy dosas.. Awesome. Something unique with poha, My half-half will truly love.